David is co-founder and Partner in Signature Tones, a sonic branding studio, creating sonic logos and original music for use by organizations in their branding efforts. Sonic branding includes original music that people use in videos, podcasts, products and services, as walk on music for speaking engagements, in TV and radio commercials and other uses. He serves as an advisor to select emerging companies who are working to transform their industries by delivering disruptive products and services. His advisory clients include HubSpot (NYSE: HUBS), where he also serves as Marketer in Residence. He began working with HubSpot in 2007 when the company had a handful of customers and fewer than 10 employees, helping the HubSpot team with rapid sales and marketing strategies that have grown the company to more than 41,000 customers in 90 countries. His current portfolio of advisory clients also includes Mynd, Expertfile, RISEcx, YayPay, Set The Set, SlapFive, VisibleGains, Foxtrot Systems, and GutCheck as well as non-profits including the Grateful Dead Archive at University of California Santa Cruz and HeadCount. In past advisory work, he contributed to successful companies as a member of the board of directors of NewsWatch KK (sale to Yahoo Japan) and Kadient (merged with Sant) and served on the board of advisors of Eloqua (IPO in mid-2012 and sale to Oracle in early 2013) and GrabCAD (sale to Stratasys in mid-2014). 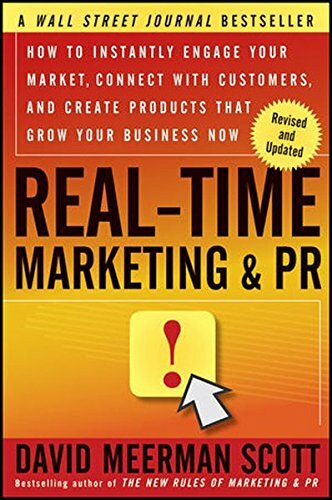 David’s books and blog are must-reads for professionals seeking to generate attention in ways that grow their business. He is author or co-author of ten books - three are international bestsellers. 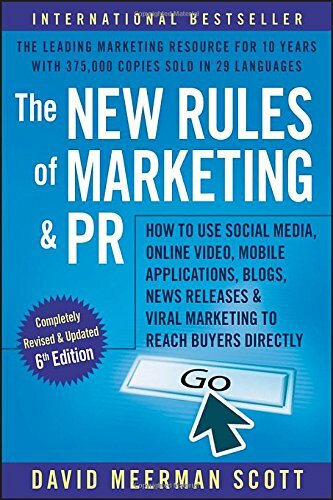 The New Rules of Marketing & PR, now in its 6th edition, has been translated into 29 languages and is a modern business classic with over 375,000 copies sold so far. 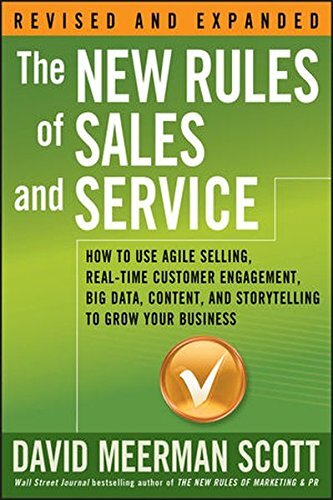 Scott also authored Real-Time Marketing & PR, a Wall Street Journal bestseller, Newsjacking, and his newest hit The New Rules of Sales & Service. He is co-author of Marketing the Moon (with Rich Jurek) and Marketing Lessons from The Grateful Dead (with HubSpot CEO Brian Halligan). David Meerman Scott views himself as a ‘one-person media company’: he’s an entrepreneur, corporate advisor, author and speaker. In 2002, David was sacked from his role as a Marketing VP when his marketing strategies were viewed as ‘too radical’. With the pressure to support his family and pay his mortgage in the realms of a struggling economy, he was forced to make a living through his own wit. He initially consulted for companies, which he admittedly found difficult. It was in starting to write blogs, which became books, which became speaking that gave him a true lease on life. He invested into himself on the speaking front – hiring a coach, reading books and trying something new on stage each time to develop and hone his skills. He loved telling the story behind what he did. David recognises that it was confronting ‘going out on [his] own.’ But soon he felt comfortable and excited by the prospect of finding new opportunities, seeking new initiatives and exploiting new revenue streams. David knew the world was going instant. He felt if you could leverage that real-time nature and you’re able to create content in relation to what is trending – you can make something of it. He didn’t try to trademark his idea, he preferred to share and collaborate the resources and principles behind the concept. 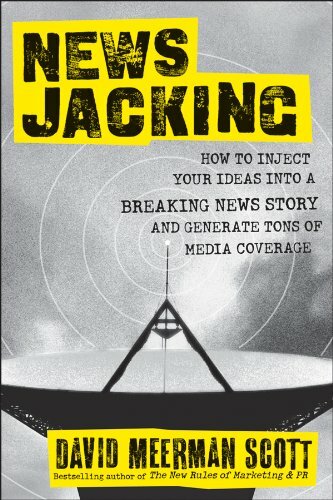 If you want to find out more about newsjacking, head to his website at newsjacking.com. Reach out to David via his website davidmeermanscott.com, his LinkedIn at linkedin.com/in/davidmeermanscott or his Twitter @dmscott.